We all want to make more money this year. Similarly, we all want to get out of debt or save more money. While you may think you are already doing all you can, chances are you are missing money. Here are a few ways to increase your income this year. Garage sales are often forgotten sources of cash. People don’t look at their “junk” and think money, but they should. One person’s trash is another person’s treasure. If you have piles of unused items and equipment laying around, sell it. If you haven’t used it or thought about it in over a year or two, get it rid of it. It isn’t uncommon to make several hundred dollars by selling things in a garage sale. 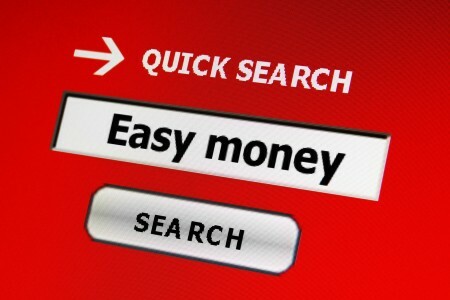 There are lots of online jobs to earn extra cash. You can sell handmade items on sites like Etsy.com or write an eBook to sell through Amazon.com. Also, many companies also hire part-time employees as customer service representatives. If you are good at writing, consider becoming a content writer for websites. Many of these types of positions pay $25 a blog or more. Spring break and summer are just around the corner. See if a local entertainment spot is hiring for the season. You can work weekends or holidays like Memorial Day and Fourth of July to earn some extra cash. A lot of companies pay more for holiday hours since no one prefers to work those days. Take advantage of these bonus times to boost your income. The money earned can be used to fund your family vacation this year. Also, you could boost your savings account or pay off debt. If you are already dealing with a lot of debt, contact a bankruptcy lawyer in Houston to discuss your options. Make 2017 the year you get out of debt and back in control.